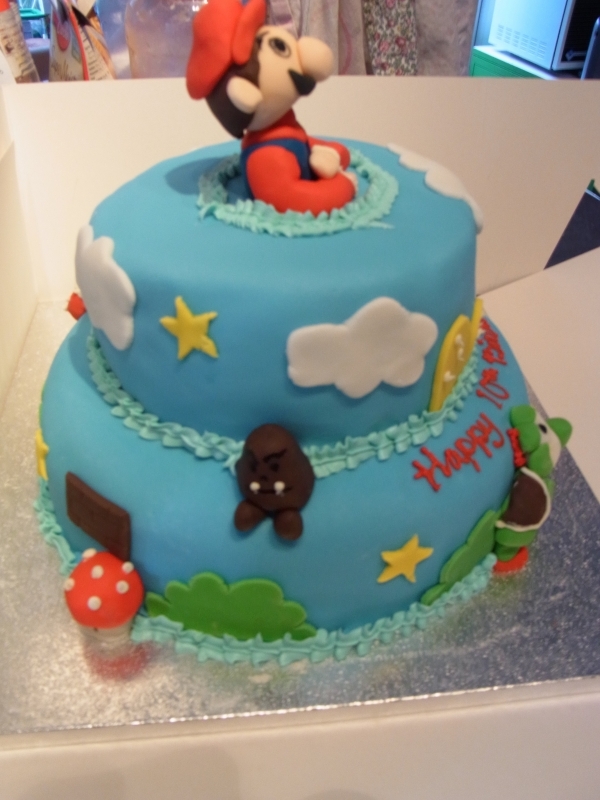 Super Mario Bros. Cake Comes to North London. March 2011, cake number 2464. It would be easier to list the Character Cakes I haven’t made. This is my 1st Super Mario Bros cake based on the game - most of the Mario Bros Characters in 3D circling a 3 tier cake made for a 10 year old girl. Lots of oohs & ahhs from the birthday girl & her friends! This weekend a Toy Story cake for her brother. 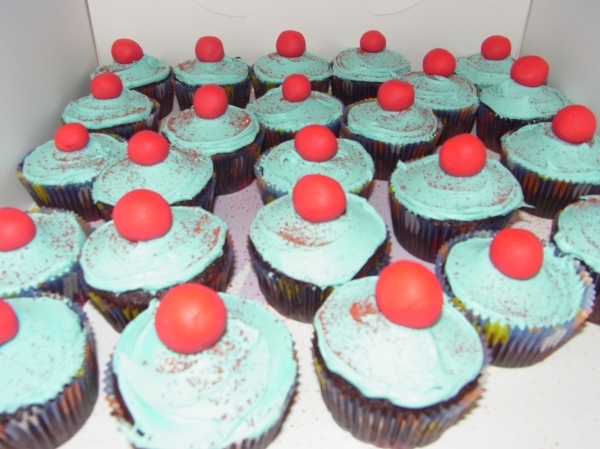 Also, as its March, Red Nose Day cupcakes for the school cake sale.